This stacking and nesting crate offers a range of options. The stackability and nestability of the crates reduces volume and saves on transport costs. 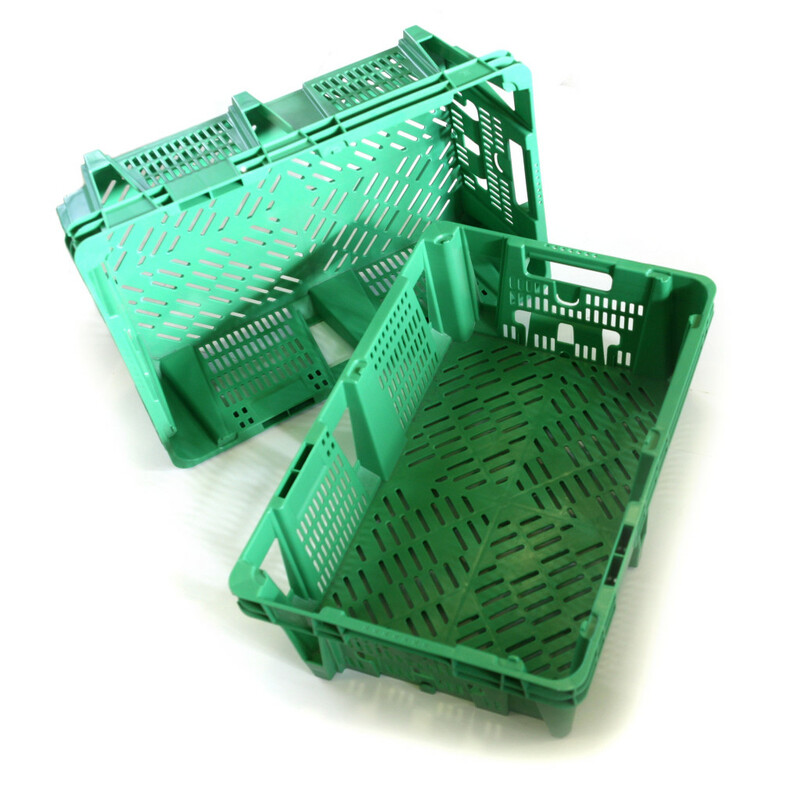 Because this stacking and nesting crate is made of plastic (PP), it offers many hygiene advantages compared with a wooden crate. The stacking and nesting crate also has better air permeability than traditional boxes.